Bond was set at $3 million for a Galion man accused of possessing a large quantity of drugs at residences in both Galion and Bucyrus. Khabeer J. Brown, 38, of 231 Walker St., Galion, and 937 N. Sandusky Ave., Bucyrus, is facing three first-degree felony counts of possession of drugs, including heroin and cocaine, with a street value of over $363,000, that could land him in prison for up to 45 years. “He is facing the highest levels of first-degree felony drug charges there are,” said Bucyrus Police Chief Dave Koepke on Wednesday. On Tuesday evening, detectives of the Bucyrus and Galion Police Departments raided both of Brown’s residences along with the Crawford County Special Response Team and METRICH task force. A large quantity of suspected crack cocaine, suspected heroin, over $1,200 in cash and evidence of drug trafficking were found in the Bucyrus residence where Tim and Billie Rathers were also arrested. Officers then executed a second search warrant at the Galion address, seizing in excess of four kilos of suspected crack cocaine and an estimated 800 grams of suspected heroin. The estimated weight of heroin seized is 820 grams of heroin valued at $16,000 dollars, and over five kilograms of crack cocaine valued at approximately $350,000 dollars. “Both the Bucyrus and Galion Departments are very pleased to report a significant amount of dangerous drugs diverted from our communities and Crawford County,” Koepke said. 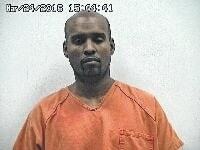 Brown made an initial appearance in Crawford County Municipal Court on Thursday. Leuthold said the $363,000 worth of drugs would have hit the streets of Crawford County if Brown had not been arrested. “I have no doubt that you have dropped millions of dollars of drugs into our community over the years. Drugs that ruin lives, ruin families. Drugs that cause users to lie, rob, steal from their families, overdose and die. You have devastated many lives,” Leuthold said. Crawford County Prosecutor Matthew Crall asked for a $1 million bond for Brown. “Based on the seriousness of the offenses along with the fact that he also has an address in Mansfield so he could be a flight risk,” Crall said. Leuthold said that due to the amount of drugs Brown had in his possession at the time of his arrest, he is the highest danger to the community and increased Brown’s bond to $3 million. If Brown posts bond, Leuthold added the stipulations that he must undergo daily drug and alcohol tests and have no contact with his two co-defendants, Timothy and Billie B. Rathers. When asked if he had hired an attorney, Brown said he is trying to contact people on the outside to help him hire one but has not had any success. Leuthold appointed Upper Sandusky attorney Derek Daily for Brown. Crall said more charges, including federal charges, may be levied against Brown in the future. Both Tim and Billie Rathers are charged with permitting drug abuse, fifth-degree felonies, and were also in court on Thursday for their initial appearances. The Rathers are accused of allowing Brown to use their residence as a drug house and permitting drugs to be used and sold in their home. Leuthold set bond at $50,000 each for Billie and Tim Rathers. If convicted, they could each face up to one year in prison. Koepke said a dog was found dead in the Brown’s Galion home, and the cause of death is under investigation. “He (Khabeer J. Brown) may be facing animal abuse or neglect charges in addition to the drug charges,” Koepke said. Koepke said it appears the dog was left in the home to fend for himself. The investigation continues in pursuit of asset forfeiture of property, vehicles and proceeds of suspected drug activity.